An all-new version of Land Rover’s entry-level SUV has hit the road - and critics have been behind the wheel to see how it compares with the rival Volvo XC90. Unveiled at a private event last November, the new Range Rover Evoque is the second-generation version of Land Rover’s cheapest off-roader, which first debuted a decade ago. 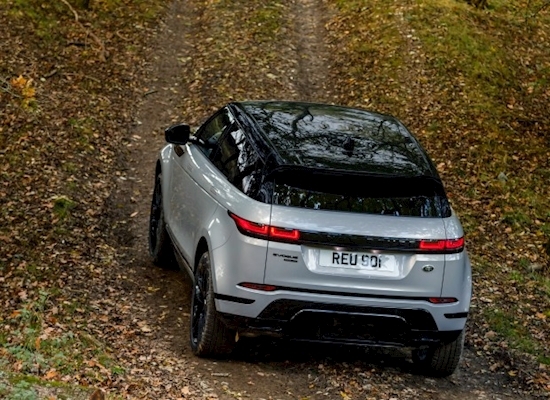 The new model takes much of its styling from its 4x4 siblings, the Land Rover Discovery and Range Rover Sport, adding a little off-road flair to the Evoque’s urban roots. The latest Evoque is build on a new production platform developed by the Jaguar Land Rover group, so the architecture of the new car is lighter than that of the first-generation model, says Autocar. However, the introduction of a new 48-volt hybrid system, along with a lithium-ion battery pack, means the new Evoque is 66kg heavier overall than the outgoing model, and 100kg heavier than its Volvo XC40 rival. The added weight is noticeable on the road, although the difference to the old car is minimal, the magazine says. The “biggest single gain” for that added heft “comes in refinement”, according to Auto Express, which notes that buyers who opt for the range-topping diesel model will barely hear the car’s engine even when cruising along at 80mph. Tyre and wind noise, along with vibrations from the road’s surface, are kept to a minimum thanks to “strong levels of cabin isolation”, the motoring magazine says. Inside, the Evoque’s cabin has had a major overhaul. 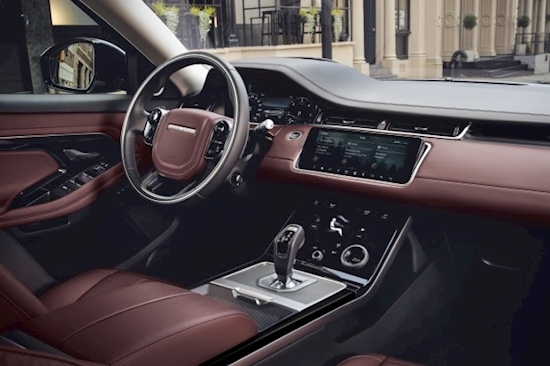 All the “unnecessary switchgear” has been stripped out and replaced with a new dual-screen infotainment screen in the centre console, along with a digital instrument panel behind the steering wheel, says Pocket-Lint. The “beautifully crisp surfaces” are “covered in a variety of premium, soft-touch fabrics”, while the abundance of “clever stowage solutions” are a handy addition, the tech news site continues. Although there are plenty of options in the premium SUV market, buyers “won’t get something as good-looking or as capable off-road” as the new Evoque, says The Daily Telegraph. “If you liked the old Evoque, you’re going to love this one,” the newspaper concludes. How does the new Evoque compare to its key rivals? The compact SUV market is one of the most competitive in the motoring industry, with most of the world’s carmakers offering some form of budget crossover. Top-selling models such as the Audi Q3 and BMW X1 offer striking looks and tech-filled interiors, but few can match the Evoque for its capabilities off-road, according to the Telegraph. But what about the new car’s biggest rival? The Volvo XC90 “taps into the urban-lifestyle mantra like few others, having learnt from the previous Evoque’s dominance in such a market”, says Evo. But the new and improved Evoque should be more than a match for the Swedish crossover, which is “high praise” indeed for the baby Range Rover, the magazine adds. Orders are open now, with prices starting at £31,600 for entry-level models. Mid-range S and SE variants cost an addition £3,150 and £6,650 respectively.